Bulgaria's hung parliament narrowly approved a new center-left government Wednesday in a bid to end months of political deadlock, but the new cabinet lacks a majority and the win relied on members of the opposition abstaining from the vote. The move sets the stage for the European Union member state to try to stabilize its troubled energy sector, address widespread poverty and boost employment to calm a largely dissatisfied electorate. The new ruling coalition comprises the Socialist Party and Movement for Rights and Freedoms, or MRF, which represents minorities mainly of Turkish ethnicity. They are the second- and third-largest parliamentary parties respectively, and have 120 lawmakers in the 240-seat National Assembly. Citizens for the European Development of Bulgaria, or GERB, led the previous fiscally conservative government that was forced out of office in February after nationwide protests against rising poverty, high energy bills and perceived corruption. GERB took the most votes in the May 12 elections and has 97 seats in parliament, but couldn't assemble its own cabinet last week. In Wednesday's vote for the cabinet, there were 119 lawmakers for the coalition, 98 against, and 23 who abstained. The new prime minister is Plamen Oresharski, 53, an independent lawmaker nominated by the Socialists. 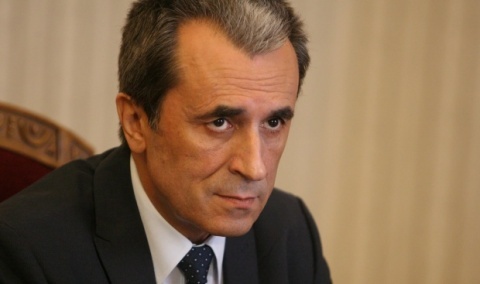 One hundred and twenty parliamentarians voted in favor of Mr. Oresharski, and 97 were against. He had previously served as finance minister in the Socialist-led government between 2005 and 2009. He was part of the team that pegged the country's currency, the lev, to the deutsche mark in the late 1990s and then to the euro when the common currency was put into circulation in 2002. Mr. Oresharski, ahead of the vote, said his government would set broadly-accepted goals that have support from opposition lawmakers, centered on creating a long-term development strategy for the country to promote the new industries that should help address rising unemployment, the brain drain and poverty. Bulgaria has the lowest gross domestic product per capita in the EU.